There is a lot of great beer news happening in Arkansas right now. From national awards to fresh beer releases — and even a few new breweries popping up on the radar — there’s something for everyone to get excited about these days. Arkansas’ reputation for good beer received another shot in the arm when Lost Forty Brewing Co. took home a couple of medals at the World Beer Cup earlier this month. The Little Rock brewery earned bronze for Double Love Honey in the German-style Doppelbock or Eisbock category, and bronze for Wild Barrels #5 in the experimental beer category. The recognition comes on the heels of a silver medal for the brewery’s Logger Rita Vienna Lager at last fall’s Great American Beer Festival. Lost Forty has built massive amounts of street cred in just under four years of operation — an impressive feat to say the least. Ozark Beer Co. in Rogers released its latest version of the popular Bourbon Barrel-Aged Double Cream Stout — or simply BDCS — over the weekend. Tickets to the Thursday and Friday night release parties sold out quickly, but the beer was available to the general public on Saturday. BDCS was sold inside Ozark’s taproom starting at 10 a.m. and was limited to three 4-packs per person. It has become one of the most sought-after beers in Arkansas, so if you wanted to try it I hope you got there early. Central Arkansas will see Bike Rack Brewing Co. beer on shelves and taps beginning next week. 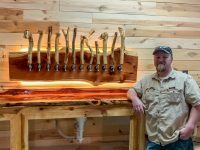 The Bentonville brewery has been building momentum ever since it hired brewer Josiah Moody and started making beer at its new 8th Street Market location. 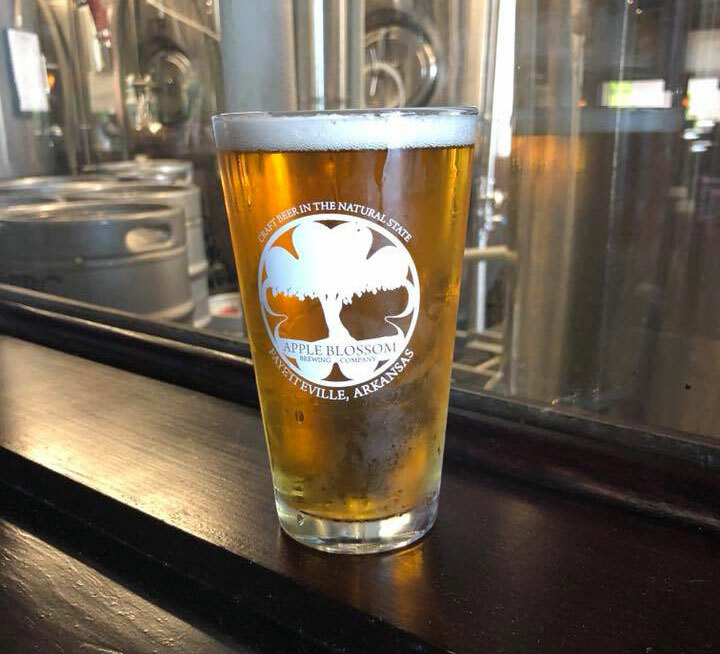 Three year-round beers — Slaughter Pen IPA, Epic Trail Amber, and Urban Trail Golden Ale — will be available in the Little Rock area, along with a rotating seasonal offering. A week-long series of launch events will take place in the city, starting with a tap takeover at Flying Saucer in the River Market District. Apple Blossom Brewing Co. is bringing an emerging beer style to Arkansas for the first time. Head brewer Brian Youngblood said he became interested in making a “brut IPA” after hearing about it from friends at Transplants Brewing Co. in southern California. Brut IPA is thought to be the brainchild of Kim Sturdivant, brewmaster at Social Kitchen & Brewery in San Francisco. It’s extremely dry, highly-carbonated, pale in color, and has very little bitterness. IPAs are generally known for their hop bitterness, but the brut version gets its hop character from late hop additions that drive flavor and aroma. Youngblood said he used German Hüll Melon hops for the first time in his brewing career, which he expects to impart notes of honeydew and strawberry on the finished product. Layered on top of a highly carbonated and dry beer, it should be a perfect combination for patio season. The distinguishing characteristic of a brut IPA is its bone-dry composition. Youngblood was able to achieve this by using an enzyme known as alpha amylase in fermentation. Apple Blossom’s brut IPA is available now, so stop in to experience this emerging style for yourself. Hawk Moth Brewery & Beer Parlor is in buildout phase at 710 N. 2nd Street in downtown Rogers. 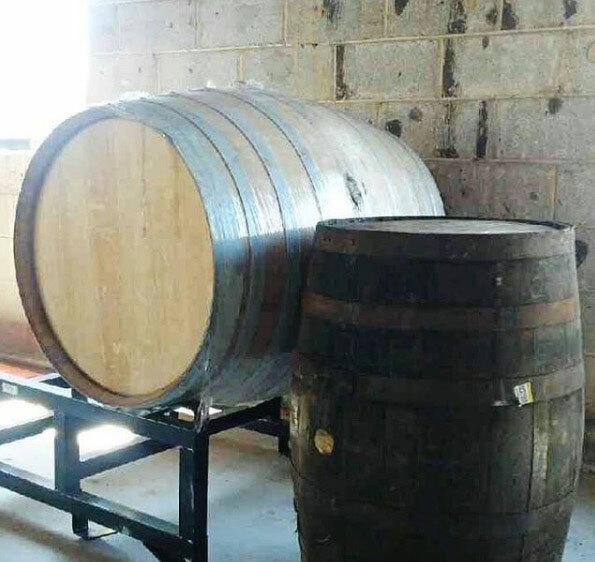 The setup will include a five-barrel brewhouse with an emphasis on barrel-aged and blended beers. Owner Bradley Riggs, who is a Rogers native, said he originally got into craft beer after seeing it up close and personal. 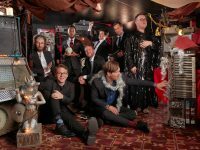 After the music gig ended he began homebrewing and found employment in the local beer industry, including a stint as assistant bar manager at Pressroom in Bentonville. Riggs also worked for Arkansas Craft Distributors for a time; and he was most recently the head of sales for New Province Brewing Co. in Rogers. 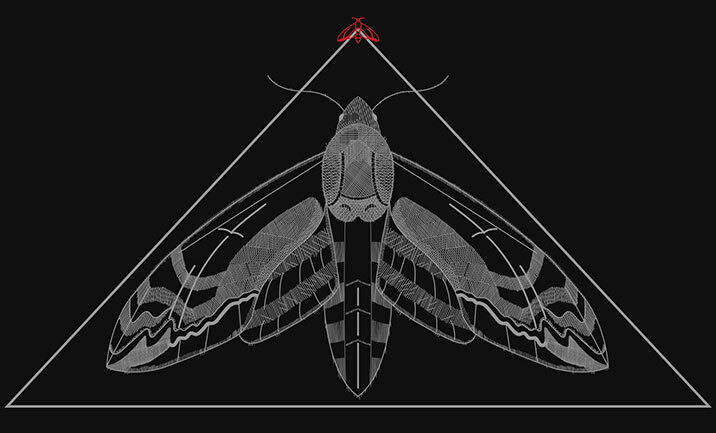 The concept for Hawk Moth revolves around on-premise consumption and providing patrons with a comfortable place to hang out or work. A fully-curated wine list will be available, as well as a limited number of spirits. Rogers will be home to yet another brewery at some point next year. Locals Mark Smith and Dan Clous recently introduced the world to their concept for Natural State Beer Co. via social media. The two have been homebrewing for a combined 17 years, with Smith garnering dozens of medals at competitions throughout the region. Clous is a self-professed “numbers guy” who has experience working in consumer packaged goods. He took a closer look at consumer behavior and realized that, although IPAs and other ales dominate the local market, most Americans consume lagers (based on national grocery sales statistics). He approached Smith with this insight, and the pair decided to build a business model around what they considered to be an underserved niche. The brewery’s location is still under wraps for now, but Natural State recently attended the Craft Brewers Conference in Nashville, Tennessee and signed a deal with Craft Kettle Brewing Equipment to purchase a seven-barrel brewhouse. That’s a pretty serious investment, and a signal that the brewery-in-planning means business. There are a ton of details to work through at this point, but according to Clous, the hope is that the brewery becomes a true destination for area beer drinkers. 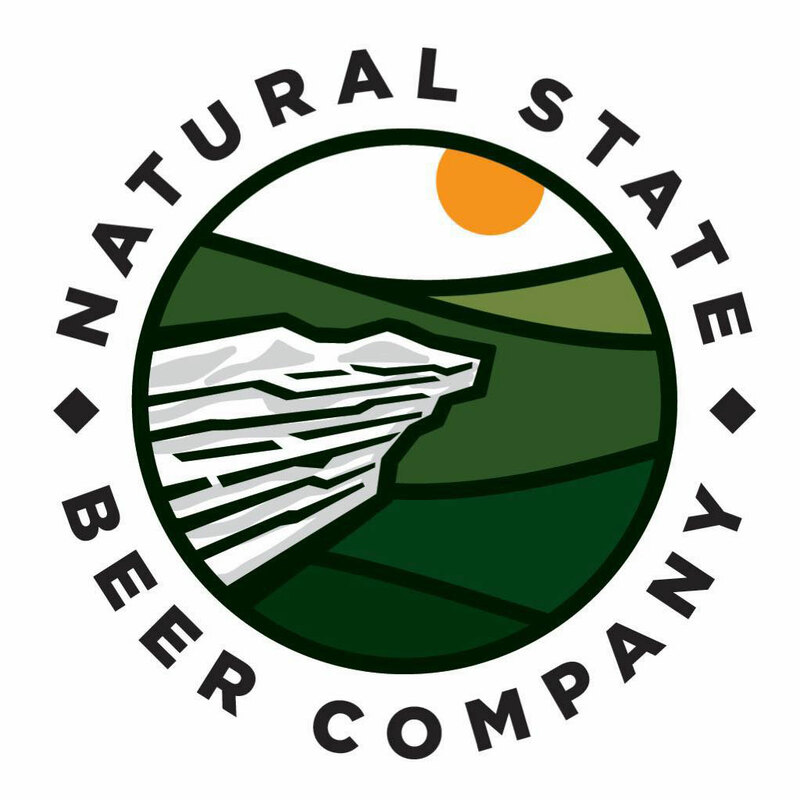 You can follow Natural State Beer Co.’s progress on Facebook, Twitter, and Instagram. Brick & Forge Brew Works in Harrison has been flying under the radar since it started brewing beer in 2012. Head brewer Kenny Peden said the brewery started out very small, and because of it, most people in the state have no idea it even exists. Brick & Forge operated under the Brick Oven Pizza Company banner in the early days. Technically, the two are still one and the same. Brick Oven Pizza houses the brewery, is responsible for the brewing permits, and employees the brewers at both the Harrison and Paragould locations in Arkansas. Having a different name for the beer allows for sales to restaurants who might otherwise frown on putting on a tap handle with a competitor’s name front and center. The Paragould location relies on a one-barrel setup and a SABCO pilot system to supply beer exclusively for onsite consumption. There are twelve Brick Oven Pizza locations in total, with six in the state of Arkansas. 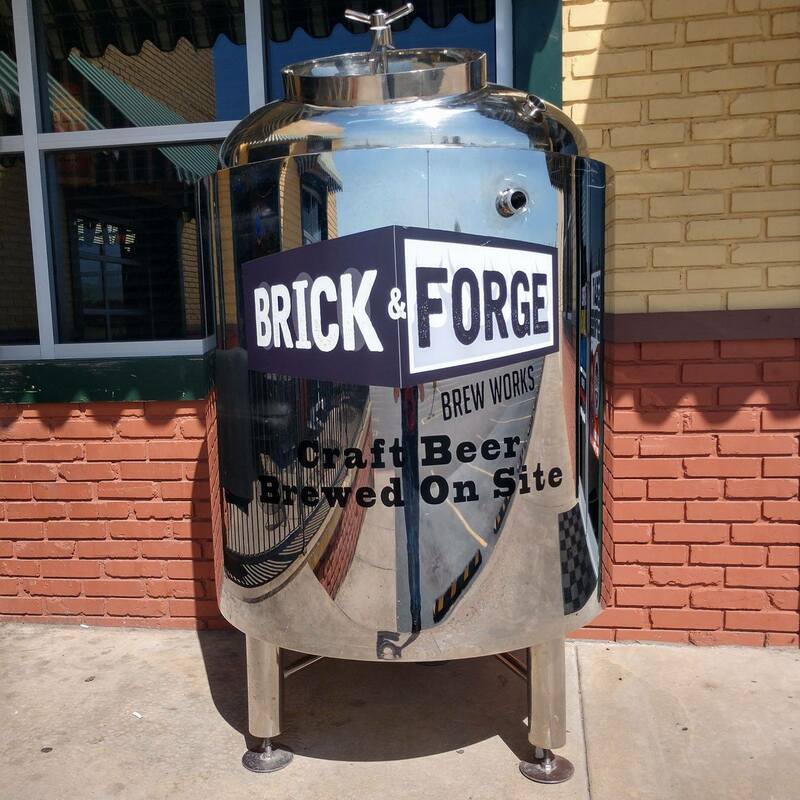 The Abilene, Texas store also brews beer under the Brick & Forge name. The three brewmasters have developed a collaborative relationship, despite the distance between them. The five staples are an IPA, a pale ale, a porter, a blonde, and a brown ale known as Dirty Sally. Peden said he also tries to keep at least two rotating beers on tap—what he calls “brewer’s choice” beers.